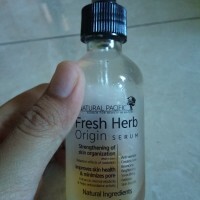 This is one of the serum that i love the most. It smells so nice and refreshing. It contains oil but it doesn't make my skin feel oily at all even untill end of the day. It keeps my skin moisturized and feeling fresh all day. I use it day and night because i love what it does to my skin. 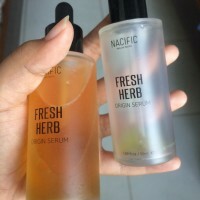 I recently boight this serum and i dont think i am going to change to other serum anymore. My skin actually combination, but recently come to dry. So, I try this product to help my face less dryer. When I applied it's feel oily. But the product can absorb to my skin not too long. I applied it in the night, and in the morning my face feel moistured. I didn't aplly it in the morning because it feel greasy if it applied in the morning. I don't know what happened. I used this product for only a couple of days, but it gave a pretty bad reaction to my skin. I really wanted to try it because the ads looked promosing and offers many advantages . But instead, I have redness all over my cheeks, acnes, and itchiness. So for those who want to try it, better inspect the product first.